You know what it’s like. One of those days when you’re lounging around trying to get a bit of rest and just keep your head above water, then some idiot comes along and ruins it. Posted on Monday, February 14th, 2011 at 10:04 pm. 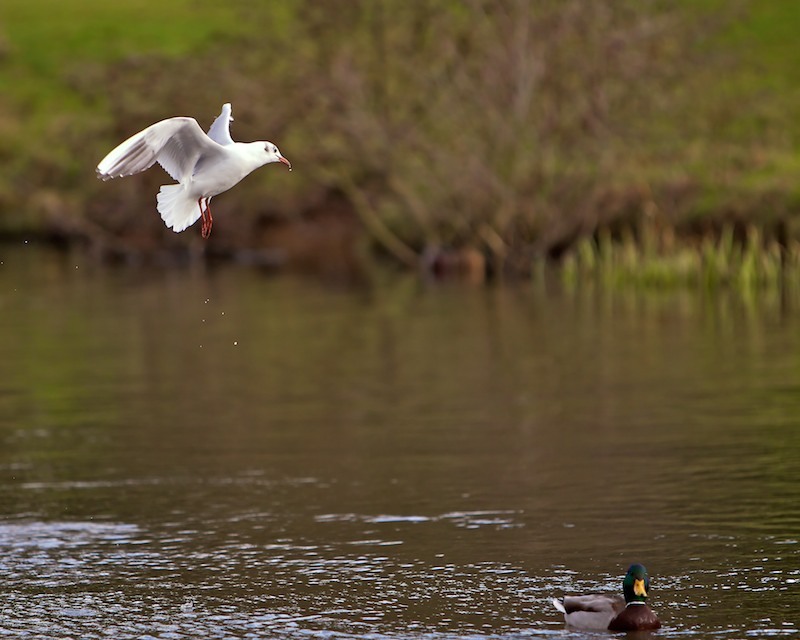 Filed under: Birds Tags: black-headed gulls, calm, ducks, flying, funny, gulls, humourous, lake, mallards, park	RSS 2.0 feed.